A stalling Dow may indicate the rally is over. 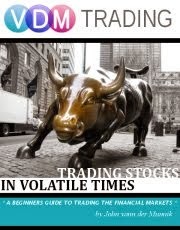 Maybe it's time to buy into the VIX (VXX). 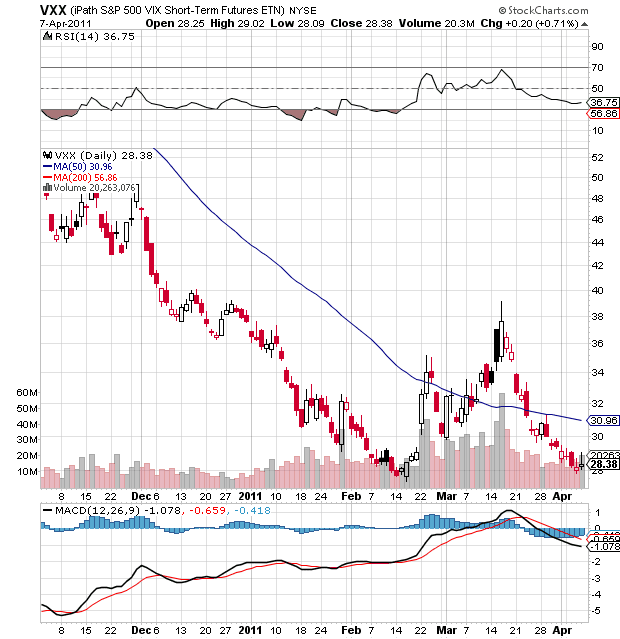 Its out-of-the-money call option is currently trading at $0.62 (April 16). Although the Japanese nuclear dilemma seemed to have settled down a bit, with a European debt crisis looming, mainly because of Portugal asking for a billion dollar bailout, and Spain on the verge of doing the same, the 'fear' is bound to be coming up in the next few days. Especially now also there is a good chance of a US government shutdown. Therefore I'm buying into this cheap call option. 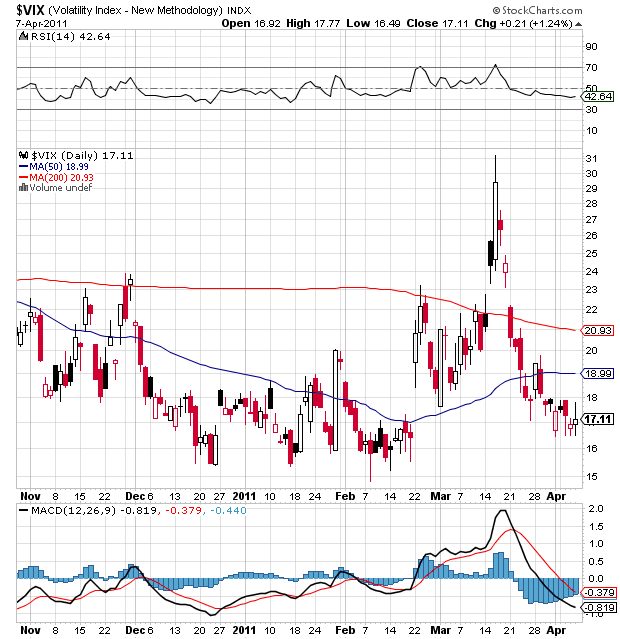 Another reason is that it looks to me the VIX is bottoming out, in other words, it won't go much lower then this. As you can also see, the RSI is now in oversold territory (below 50). I'm putting in probably 10 contracts for this one.. These are all before April 16, the position size and strategy is of course determined on how much risk you can handle in your personal portfolio.